Bob Zahn lived and cartooned in Syracuse, New York. His cartoons have been published in many top family magazines such as Saturday Evening Post, Good Housekeeping and Reader's Digest. 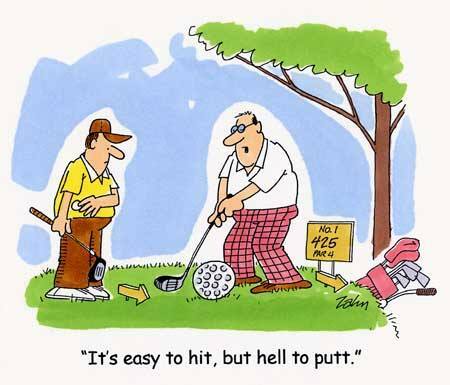 He did a prolific number of golf cartoons, as well as greeting cards published by such notable card publishers as Amberley Greetings and Noble Works. He has also illustrated some of the best known cartoon humor books including The Difference Between Cats & Dogs, GOLFaholics, Fly Fishing Tales Of Terror and many others. 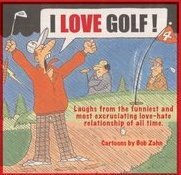 An avid golfer Bob died in January 2008, but his depiction of the great game of golf lives on in his work. To view a larger version of each cartoon, click on the thumbnail version below.